The general superiors who have led our Congregation since 1840 were talented and devoted women. Each brought unique skills to her office. We want to share with you this listing of our general superiors, including their achievements during each administration. 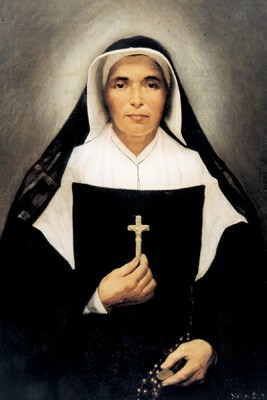 This is a photo of an oil painting of Saint Mother Theodore Guerin that was created in Paris in 1852. Saint Mother Theodore Guerin, foundress of the Sisters of Providence of Saint Mary-of-the-Woods, Ind., has been called a visionary, a model of virtue, and a source of inspiration and hope. Hers is a story of strength and prayer; challenge and humility; sorrow and peace. On Oct. 15, 2006, Mother Theodore Guerin was recognized as a saint by Pope Benedict XVI in a canonization ceremony at St. Peter’s Square in Rome. In 1998, the world came to know what Sisters of Providence have known for years. In October of that year, Pope John Paul II granted the title of “Blessed” to Mother Theodore, signifying that she is a holy woman worthy of honor and veneration. We are proud to share our beloved and honorable foundress with others. By clicking here, you will have the opportunity to explore Mother Theodore’s life in more detail. For more information about Saint Mother Theodore Guerin, contact Sister Jan Craven, coordinator of the Office of the Shrine of Saint Mother Theodore Guerin, by e-mail at jcraven@spsmw.org or by phone at 812-535-2925. Mother Mary Cecilia (Eleanor) Bailly was born June 2, 1815. She entered the Congregation in November 1841, and became the second General Superior of the Congregation after the death of Mother Theodore. Prior to being General Superior of the Congregation, Mother Mary Cecilia ministered as a teacher of English and music at the Academy. During her 12 years as General Superior, Mother Mary Cecilia laid the foundation for a new Academy in 1860. She was also largely responsible for opening many new missions, as well as orchestrating the building of a frame chapel, a brick bake house, barn and stable. In addition, the cemetery was laid out during her administration and a brick vault was prepared in the center circle for the grave of Mother Theodore. In 1861, as the Civil War broke out, the Sisters of Providence were asked to assist doctors of the City Hospital in Indianapolis and did so until the war ended. 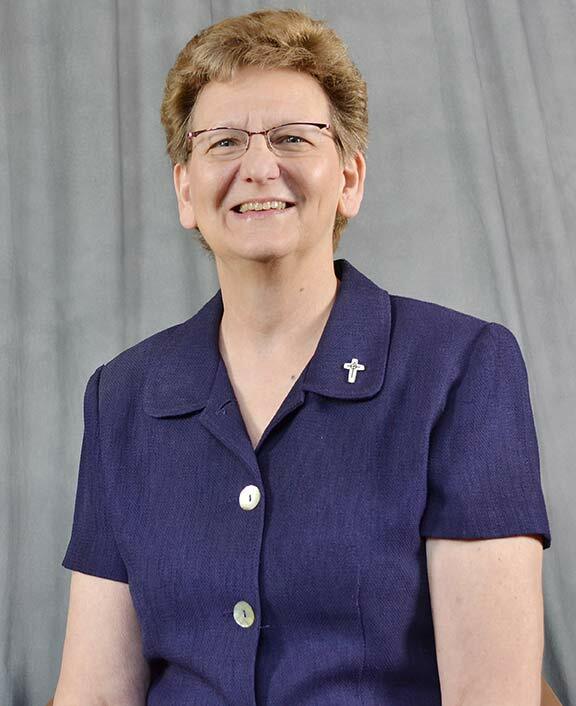 Following her time as General Superior, Mother Mary Cecilia elected to minister at St. Ignatius Academy in Lafayette for one year and spent an additional 18 years at the St. Ann Orphan Asylum in Terre Haute. Mother Mary Cecilia died on Aug. 2, 1898. She was 83 years old. By clicking here, you will learn more about the life of Mother Mary Cecilia Bailly. Mother Anastasie (Jane) Brown (1868-1874) was born on October 18, 1826 in North Arm, Edgar County, Illinois. She entered the Sisters of Providence on January 23, 1844. At the age of 41 she became the third Superior General of the Congregation. Her two three-year terms coincided with the Panic of 1873, which contributed to the community’s financial distress. She later served as a councilor to Mother Mary Cleophas Foley from 1890 to 1896 and was a witness in the Cause of Mother Theodore whom she had known personally as a girl at the Academy and for twelve years in the community. She was also known as a practical architect and after the Fire of 1889 designed the buildings of St. Mary’s, as suggested by Mother Theodore, along the lines of those in France. Mr. Oscar Bohlen, the architect, used her plans. She lived to be ninety-two, dying on August 10, 1918. Mother Mary Ephrem (Margaret) Glenn (1874-1883) was born on January 21, 1836 in Bellfont, Pennsylvania. After attending school at Madison, Indiana, she entered the Congregation on July 18, 1861. At the age of 38 she was elected fourth Superior General of the Sisters of Providence. Under her administration missions were established beyond the state of Indiana for the first time. She substantially reduced the financial indebtedness of the Congregation. In 1890 she was elected to the post of Econome for the Congregation, which position she held until 1896. She died on February 1, 1916. Mother Euphrasie Hinkle was born Anna Hinkle on Sept. 15, in Carrollton, Ky. She entered the Congregation on July 14, 1864, and was a convert from Methodism. In 1880, Sister Euphrasie was elected to the general administration as Second Assistant to Mother Mary Ephrem Glenn, and in 1883, she was elected General Superior. Education was a top priority during her administration, as she opened numerous schools – including the first Chicago Mission of the Congregation, St. Philip, which is now St. Mel, as well as the first mission to the East Coast (St. Rose in Chelsea, Mass.). Under Mother Euphrasie’s leadership, building of the Church of the Immaculate Conception began in 1886. The church was not completed until 1907. Despite asking to be relieved of her position due to failing health, Mother Euphrasie was re-elected in 1886. On Feb. 7, 1889, our Motherhouse burned down and Mother Euphrasie died mere months later – on Aug. 27, 1889 – at the age of 41. Mother Mary Cleophas (Margaret Teresa) Foley was born on February 18, 1845 at Scipio, Indiana. She entered the Congregation of the Sisters of Providence on September 13, 1862. After eighteen years as Mistress of Novices, she was elected First Assistant to Mother Euphrasie in 1886. Chosen as sixth Superior General in 1890, she held the office for six consecutive terms, a total of 36 years. In 1890 during the administration of Mother Mary Cleophas the sisters moved into the new Providence and the Golden Jubilee of the Congregation was celebrated. The Exhibit for the World’s Fair of 1893 was planned and executed. Due to her entreaties Bishop Chatard initiated the process for the Cause of Mother Theodore. Under her direction a strong program for the education of the sisters was developed, with sisters being sent for higher studies. The Academy at Saint Mary-of-the-Woods became Saint Mary-of-the-Woods College, with Mother Mary Cleophas as its president. In 1920 she sent the first group of American Sisters to establish a mission in China, located in Kaifeng, East Honan. Under the leadership of Mother Mary Cleophas an extensive building program took place. The Church of the Immaculate Conception, begun in 1886, was dedicated in 189l and completed in 1907. The Woodland Inn was constructed in 1894; a façade and fourth floor were added to the Academy building in 1897; a new novitiate was built in 1902; the new Gymnasium was ready for use in 1909; Guerin Hall and the Conservatory of Music were completed by 1913; the present O’Shaughnessy Dining Hall was blessed in 1921; the new Infirmary was blessed and occupied in 1922; in 1924 the Blessed Sacrament Chapel was completed and Le Fer Hall was opened. Mother Mary Cleophas traveled to Europe three times. In 1902 she became the first American sister in almost forty years to visit Ruillé and the shrines of Europe. In 1913 and again in 1922 she journeyed to Rome on behalf of Mother Theodore’s Cause. Exercising her spiritual leadership as superior general, Mother Mary Cleophas gave daily instructions to the Sisters whenever she was at Saint Mary-of-the-Woods. She inaugurated the Second Novitiate Program and conducted the thirty-day retreats. Her personal spiritual notes are copious, as is her correspondence with the Sisters. After leaving office in 1926, Mother Mary Cleophas prepared herself to meet her Maker, dying on the Feast of St. John, Dec. 27, 1928. She was buried in the convent cemetery on Dec. 31, 1928. On April 4, 1951 her remains were transferred to a vault in the crypt of the Church of the Immaculate Conception. On July 19, 1998, her remains and those of Sisters Aloysia Foley, Mary Joseph Le Fer and St. Francis Xavier Le Fer, were returned to their graves in the cemetery. This was done because the crypt was no longer open for visitors after the church renovation. Mother Mary Raphael (Mary) Slattery was born on January 17, 1863, at Galesburg, Illinois. On September 4, 1882 she entered the Congregation of the Sisters of Providence. In 1902 she was elected General Treasurer, a position which she held for the next twenty-four years, demonstrating pronounced financial ability. As treasurer she was also buyer and so was instrumental in furnishing the buildings erected during Mother Mary Cleophas’ term of office. She was concurrently involved with the financial operations of the expanding educational institutions during this period. Consequently when elected Superior General in 1926, Mother Mary Raphael was fully conversant with the financial status of the Congregation. This proved providential, since her term of office occurred during the Great Depression and the debts incurred by the heavy building program were able to be successfully re-financed. Also during her time in office the Juniorate was established for high school girls interested in entering the convent, and Provinces were formed. In 1938 after completing two terms as Superior General, she retired to ordinary community life. Mother Mary Raphael died on September 9, 1940. Mother Mary Bernard (Mary) Laughlin was born in Fort Wayne on August 12, 1876. On May 2, 1905, she entered the Congregation of the Sisters of Providence. 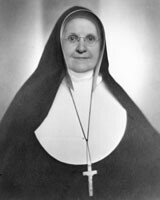 She was elected First Assistant to Mother Mary Raphael in 1926 and re-elected to this position in 1932. In 1938 she was elected Superior General. As Superior General she was also president of Saint Mary-of-the-Woods College and kept closely in touch with the college administration. She saw her role as that of holding at bay the forces of secularism and preserving the original spirit of the congregation – a constant disciplinary struggle. During her administration the United States fought in World War II (1941-1945) and Our Lady of Sorrows Convent in Chicago was partially destroyed by fire (August, 1947). Mother Mary Bernard’s final illness began in May of 1948. Doctors at Mayo’s were unable to diagnose the cause or alleviate the pain. While being given final absolution by Father Gorman on October 6, 1948, she departed this life. Mother Marie Helene (Helena) Franey was born July 29, 1898 in Galesburg, Illinois. She entered the Congregation of the Sisters of Providence in 1918 upon graduation from Saint Mary-of-the-Woods College. She received a Masters degree in Latin from Indiana University in 1929. From 1929 until her election as Secretary General in 1944 she taught at Saint Mary-of-the-Woods College. 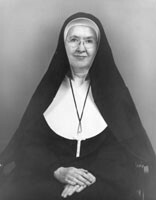 After the death of Mother Mary Bernard Laughlin, Mother Marie Helene was elected ninth Superior General on March 25, 1949. In 1950 Mother Marie Helene traveled to Portugal, Spain, Rome and France with Sister Francis Joseph Elbreg on a Holy Year Pilgrimage. This was the first visit of a Sister of Providence to Ruillé since 1922. Mother Marie Helene was one of six religious superiors on the Committee for Sisters appointed to plan for the First National Congress of the Religious of the United States, held at the University of Notre Dame from August 9 to 13, 1952. At this Congress she presented a paper entitled “The Spiritual Possibilities of Teaching as a Vocation.” In the summer of 1953 she was appointed by the Sacred Congregation of Religious in Rome as one of three Superiors General in the United States to serve on an International Commission of 40 Superiors General. Unfortunately her untimely death on November 23, 1953 prevented her from taking part. Mother Gertrude Clare (Margaret Genevieve) Owens was born March 16, 1887, in Chicago, Illinois. She entered the Congregation of the Sisters of Providence on September 7, 1904. In 1920 during the sixth term of Mother Mary Cleophas she was elected to the General Council, a post which she held for the next 40 years. Due to the failing health of Mother Mary Cleophas, Sister Gertrude Clare gradually took over giving the meditations for the Thirty-Day Retreats. In 1924 the entire Retreat was turned over to her. She continued giving these retreats until 1959. The supervision of the infirmary and the care of the sick became Sister Gertrude Clare’s duty also during these early years. She was instrumental in introducing modern methods and transforming the infirmary into a quasi hospital. Until her own last illness, she became identified with the care of the sick, visiting them, attending operations, and saying the prayers at the bedside of the dying. 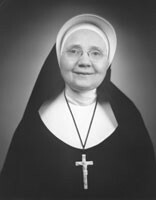 With the election of Mother Marie Helene in 1949, Sister Gertrude Clare was elected First Assistant. The sudden death of Mother Marie Helene in 1953 was followed by the election in 1954 of Mother Gertrude Clare as tenth Superior General. Mother Gertrude Clare’s years in office saw great activity. Marian Cottage, planned during Mother Marie Helene’s term, was completed; the Fatima Shrine, a memorial to Mother Marie Helene, was built; the expansion of the buildings at the Immaculata in Washington, D.C. was carried out with her approval; she filled out the unexpired term of Mother Marie Helene on the Committee of Superiors General, attending several of the general meetings of that Committee until she was replaced at a general replacement of members. In 1954, the Holy Rule was revised. In November of 1954 Mother Gertrude Clare sent two Sisters, Sister Francis Joseph Elbreg and Sister Eugenia Logan to visit Formosa (Taiwan) which had been impossible to visit for nearly 22 years due to wars and political turmoil. At the same time she also sent Sister Rose Angela Horan and Sister Loretta Therese O’Leary to Rome to investigate the progress of Mother Theodore’s Cause for beatification. While in Europe the two sisters also visited Ruillé. In every possible way Mother Gertrude Clare promoted the Cause. The Apostolic Process was opened in October, 1956 and terminated in September, 1958 with the solemn ceremony of exhumation of Mother Theodore’s remains. Mother Gertrude Clare began the Juniorate or Sister Formation program in 1957 in accordance with the wishes of the Holy See. The building of a new Novitiate was a project important to her as she was impressed with the necessity of a separate formation for the postulants and novices. She saw the laying of the cornerstone and blessing of the building on July 15, 1959 but, incapacitated by illness, never saw or was able to hear anything of the completed edifice. In 1968 the building was named Owens Hall in her honor. In February of 1960 Mother Gertrude Clare contracted a deep-seated virus-produced encephalitis which totally incapacitated her until her death on November 18, 1963. Mother Rose Angela (Mary Cecilia) Horan was born June 13, 1895 in Vincennes, Indiana. She entered the Congregation of the Sisters of Providence on September 6, 1913. 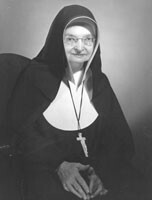 After serving as a high school teacher and principal, she was elected in 1954 as First Assistant to Mother Gertrude Clare Owens. Due to the illness of Mother Gertrude Clare Owens it was she who, although still First Assistant, prepared for the Chapter of 1960. At this Chapter Mother Rose Angela was elected the eleventh Superior General. During her years in office Mother Rose Angela sanctioned a Development Drive for the erection of the College Library and enlisted the cooperation of the sisters in this endeavor. She expanded the resources of Ladywood School in Indianapolis by erecting new buildings and initiated the construction of Mother Theodore Guerin High School and convent in River Grove, Illinois. Marywood School in California was transferred from Anaheim to Orange, with construction of new buildings there. Expenses incurred by these projects made it necessary to procure a loan. She organized and furthered plans for the division of the Congregation into regional areas and introduced a more representative form of local government in the regions in accordance with Canon Law for Religious. Projects already begun for the higher education of the sisters were continued. The sisters were encouraged to update themselves by reading widely and attending institutes, conventions, and congresses. Mother Rose Angela opened the work of the congregation to other apostolates besides teaching by cooperating in the establishment and management of a home for retired and elderly citizens in New Albany, Indiana. Duties as Superior General made it necessary for Mother Rose Angela to travel to Rome, France, Taiwan and Peru. In Peru a foreign mission was established at Arequipa. Although the Sisters of Providence first went to China in 1920, Mother Rose Angela became the first Superior General to visit them in the Far East when she traveled to Taiwan, to which the sisters had fled from China. In the religious and apostolic field Mother Rose Angela actively encouraged the Congregation to adapt to the changing times in the spirit of Vatican II, the Council which took place during her term of office. Her many general letters and directives of this period reflect the rapid pace of changes which were taking place. She was also an active member of the Committee of Major Superiors of Religious Communities for Women. In recognition of Mother Rose Angela’ accomplishments and of the relationship between Saint Mary-of-the-Woods College and Indiana State University, in 1965 the latter conferred upon her the Honorary Degree of Doctor of Laws. After leaving office in 1966 Mother Rose Angela engaged in research and writing, often being consulted about Congregation affairs within her memory and research. She was also consulted about the development of the National Conference of Woman Religious and the integration of black and white students in the Catholic high schools of Indianapolis, which occurred in 1937 while she was on the teaching faculty of St. John’s Academy. Widely recognized as a poet, historian and author, she died on August 19, 1985. Mother Mary Pius (Helen Marie) Regnier was born April 28, 1914 in Aurora, Illinois. She entered the Congregation of the Sisters of Providence on January 23, 1932. After serving as a high school teacher and principal, she was elected to the General Council in 1960. Elected as the twelfth Superior General in 1966, she held office for ten years during the turbulent time of renewal following Vatican Council II. Mother Mary Pius began the process for the revisions of the Constitutions to bring them into accord with the recommendations of the Church for the renewal of religious life. She presided over the Special General Chapter of 1969. She was actively involved in the Contingency Planning which took place when it became evident that the Congregation was in financial difficulty. During her administration several of the congregation-owned high schools were sold: Marywood (Evanston), Our Lady of Providence (Clarksville) and Ladywood/St. Agnes (Indianapolis). With the formation of Provinces the duties of the General Administration changed and the Congregation Executive Council (CEC) was formed to include the Provincial Superiors as well as the members of the General Council. Administrative areas became defined as Government, Christian Development, and Apostolic Works. These had parallel structures on the Generalate and Provincialate levels. The Sister Formation Program advanced. Most of the Sisters had attained degrees or were studying for advanced degrees, so the necessity of returning for summer classes at Saint Mary-of-the-Woods declined. The summer instructions cease after 1968. Correspondence and communications with outside organizations increased as the congregation became more active in social works. From 1970-1972 Mother Mary Pius served as vice-president of Region VII of the Leadership Conference of Women Religious (LCWR). Duties as Superior General also made it necessary for her to travel to Rome, Ruillé, Taiwan and Peru. After leaving office in 1976, Sister Mary Pius, who had ceased using the title of “Mother,” served on the Marriage Tribunal of the Diocese of Joliet. In 1993 she retired to Saint Mary-of-the-Woods. Sister Mary Pius died November 27, 2005. 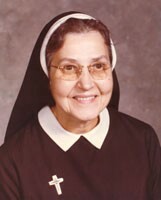 Sister Loretta Schafer (formerly Sister Michael) was born in Chicago, Illinois on April 2, 1917. She entered the Congregation of the Sisters of Providence July 16, 1935. She received a Bachelor of Science degree in chemistry and physics from Saint Mary-of-the-Woods College, and master and doctoral degrees in chemistry from the University of Notre Dame. She taught in elementary and high schools and college, including Providence Juniorate, Saint Mary-of-the-Woods College, and Providence College, Taichung, Taiwan. Sister Loretta served as co-provincial of St. Joseph Province from 1971 until 1976, when she was elected general superior. She held this position until 1981. 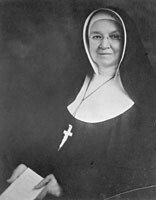 Important accomplishments during her administration as general superior were: the completion of the revision of the congregation’s Constitutions and Complementary Document; the Pearce Study of the physical plant needs of the motherhouse; the construction of the Maryvale housing complex for senior citizens; the sale of Marywood High School to the Diocese of Orange; the sale of Providence-St. Mel to Paul Adams; initial planning for an Office of Development; work on Mother Theodore’s Cause, notably by assigning Sister Joseph Eleanor Ryan to write the Positio. 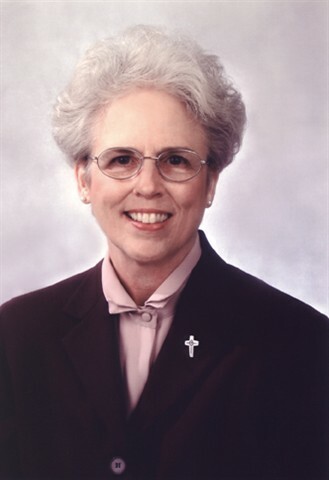 After completing her term as general superior, Sister Loretta served for eight years as vice-chancellor for the Indianapolis archdiocese, and then as the first woman chancellor for two years. Her devotion to Mother Theodore was evident in her final ministry – that of promoter of the foundress’s Cause, from 1992 to 1996. By this time her health was failing. She died February 19, 1998. Sister Anne Doherty (formerly Sister Dennis) was born in Indianapolis, Indiana May 6, 1928. She entered the Sisters of Providence January 9, 1946. She received a Bachelor of Arts degree in social studies and education in 1963 from Saint Mary-of-the-Woods College, a Master of Arts degree in psychology in 1966 from Catholic University, and a Ph.D. degree in clinical psychology and counseling in 1969 from Catholic University. She also did post-doctoral studies at the University of Southern California from 1970 to 1972. She taught at schools in Illinois and Indiana and served as associate professor of psychology at Saint Mary-of-the-Woods College. Other positions were: staff psychologist for Vigo County Guidance Clinic, Terre Haute; chief psychologist/associate director of clinical services at the Hamilton Center, Terre Haute; associate professor of pastoral psychology at Weston School of Theology, Cambridge, Ma. Sister Anne was elected general superior on July 9, 1981, and served until 1986. 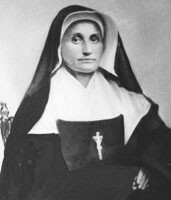 Important events during Sister Anne Doherty’s administration were: razing the old novitiate wing and the construction of a new infirmary – Karcher Hall; renovations in Providence and Owens Halls, including Owens chapel; major renovation of the Church of the Immaculate Conception in connection with the necessary replacement of the floor; sale of Immaculata property in Washington, DC; development of a long-range plan for formation; formation of a committee to research alternate uses for Foley Hall; a committee to begin planning for the Sesquicentennial celebration; the establishment of the Development Council; Mother Theodore’s Cause moved forward in the approval of the Positio written by Sister Joseph Eleanor Ryan. After completing her term, Sister Anne served the Diocese of Monterey, California as marriage tribunal advocate and psychologist from 1986 to 1990. From 1990 to 1995 she worked as tribunal advocate for the Diocese of Gary, Indiana. From 1995 to 1996 she worked at the Community Mental Health Center in Batesville, Indiana. This was followed by two years as clinical and school psychologist for Providence Self-Sufficiency Ministries at Saint Mary-of-the-Woods. Beginning in 1998, Sister Anne has been a volunteer in retirement/residential services at the motherhouse. Sister Anne died on Feb. 3, 2013. Sister Nancy Nolan (formerly Sister Jean Paula) was born in Galesburg, Illinois on May 13, 1936. She entered the Congregation of the Sisters of Providence February 2, 1955, and pronounced first vows in 1957. She received a Bachelor of Science degree in education from Saint Mary-of-the-Woods College, a master’s degree in education from the University of Illinois, Urbana, and a master’s degree in pastoral studies from Loyola University in Chicago. 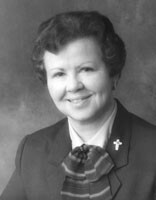 Sister Nancy served as teacher or principal in schools in Indianapolis, Chicago, and Oklahoma City. In 1973 she was elected co-provincial of St. Joseph Province. Following two terms in this position, Sister Nancy spent the 1983-1984 year in Taiwan, serving as administrative assistant in the Office of Ecumenical and Interreligious Affairs of the Conference of Asian Bishops. This was followed by a year as Associate Administrator of St. Ann Parish in Terre Haute. She was elected to a five-year term as general superior on February 26, 1986, and then was re-elected on July 17, 1991 for a second five-year term. Important events during Sister Nancy Nolan’s administration were: the congregation’s government structure was centralized; Pope John Paul II bestowed on Mother Theodore the title of Venerable; a new postulator, Dr. Andrea Ambrosi, was appointed; Foley Hall was razed and Providence Center was constructed; the congregation celebrated its sesquicentennial year; Lady Isle School in New Hampshire was closed and the property was put up for sale; Casa Providencia, a house of discernment for Hispanic women, was opened. After completing her second term as general superior, Sister Nancy spent the 1996-1997 year on sabbatical. This was followed by a position as Programs Director at the Institute for Spiritual Leadership in Chicago. In 1999 she accepted the position of president of Mother Theodore Guerin High School in River Grove, Illinois, serving in this capacity until 2009. The following year she gave convent service, after which she was named coordinator of the Vocation Office at the motherhouse. Sister Diane Ris (formerly Sister Martin Therese) was born in Port Chester, New York on July 16, 1932. She entered the Congregation of the Sisters of Providence July 21, 1951 from Holy Trinity parish, Washington, DC, and pronounced first vows in January 1954. She received a bachelor’s degree in education from Saint Mary-of-the-Woods College, a master’s degree in education from Indiana University and a doctorate in education from Ball State University. Sister Diane taught in schools in Indiana, Illinois and Maryland. In 1977 she became an associate professor at Morehead State University in Kentucky, being promoted to professor in 1980. She served as provincial of St. Gabriel Province from 1986 to 1990. For three months in 1995 she took a leave of absence from Morehead to serve as interim director of Global Education Associates. 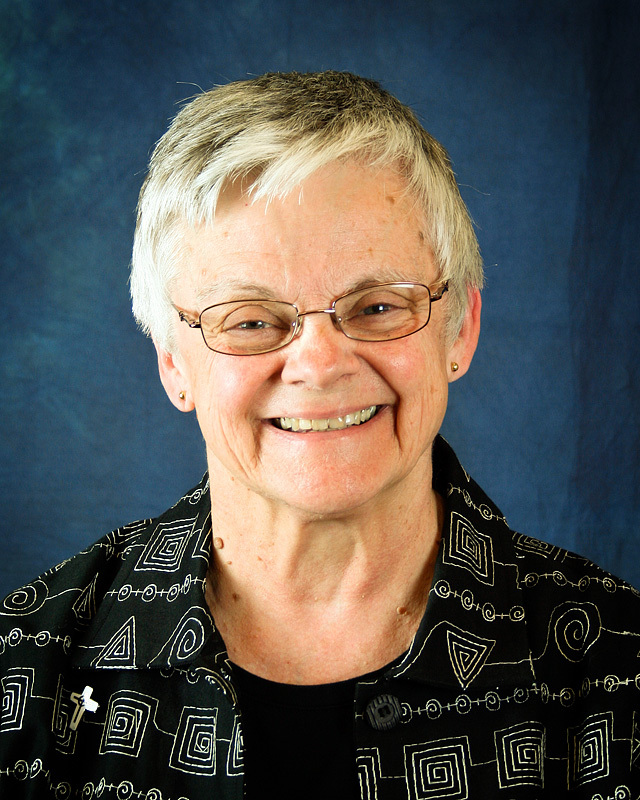 Sister Diane was elected general superior in 1996 and served in that position until 2001. The most memorable event of Sister Diane’s term as general superior was the beatification of Mother Theodore Guerin on October 25, 1998. Other important events were: the publication of the revised 1997 Constitutions and Complementary Document; the Jubilee 2000 debt forgiveness of the three Congregation-sponsored institutions; the Congregation-wide study of health care needs, which resulted in plans for a new health care facility and the renovation of present facilities. After completing her term as general superior, Sister Diane took a year’s sabbatical. Then she served as a Reiki practitioner and a writer. Sister Diane died on Feb. 20, 2013. Sister Ann Margaret was born in Louisville, Kentucky. She entered the Sisters of Providence on July 22, 1955, from St. Anthony Parish in Clarksville, Indiana. She professed perpetual vows on August 15, 1963. She received a bachelor’s degree in English from Saint Mary-of-the-Woods College, a master’s degree in business education from Indiana University, and a master’s degree in pastoral theology from Saint Mary-of-the-Woods College. Sister Ann Margaret taught at schools in Wilmette, Illinois and Indianapolis, Indiana. At Immaculata College in Washington, DC she was director of student personnel and of business education. At Saint Mary-of-the-Woods College she served as dean of administration and vice president of student affairs. From 1978 to 1986 she was provincial of Saint Gabriel Province, based in Indianapolis. From 1986 to 1991 she was program director for the National Association of Church Personnel Administrators. She was a member of the Sisters of Providence General Council from 1991 to 2001, before serving as General Superior from 2001 to 2006. She was executive director of Women of Providence in Collaboration from 2007 to 2012. The most memorable event during Sister Ann Margaret’s administration was the long-awaited canonization of Mother Theodore Guerin in 2006. Other important events were: the opening of the new health care facility (later named Mother Theodore Hall); the death of Pope John Paul II and election of Pope Benedict XVI; the opening of Providence Cristo Rey High School; the renovation of Lourdes Hall. A terrible occurrence was the threefold terrorist attack (World Trade Center, Pentagon, and hijacked jetliner) on September 11, 2001. Also, the war in Iraq began March 19, 2003 (it ended April 30, 2003). The Mission Advisory Board was inaugurated in 2004. For 15 years, Sister Denise Wilkinson served the Congregation of the Sisters of Providence as vicar/councilor (2001-2006) and as general superior (2006-2016). Sister Denise completed her second term as general superior with the installation of elected officers Sept. 10, 2016. In the 10 years Sister Denise was general superior many milestones occurred. Sister Denise would be the first to acknowledge the councilors who served with her for all that has been achieved: (first term) Sisters Marsha Speth (vicar/councilor), Jane Marie Osterholt (RIP), Nancy Reynolds, Marie McCarthy and Paula Damiano and; (second term) Sisters Lisa Stallings (vicar/councilor), Jenny Howard , Mary Beth Klingel and Dawn Tomaszewski. She would also want to recognize the incredible efforts, dedication and fidelity of departments, ministries, programs staffs, individual sisters and generous benefactors. Capital improvements: renovation of Providence Hall (2010); replica of Log Cabin Chapel erected (2012); renovation of Providence Center and Linden Leaf Gifts (2014); completion of permanent shrine of Saint Mother Theodore Guerin (2014); re-location of National Shrine of Our Lady of Providence to the main vestibule in the Church of the Immaculate Conception (2014); Woods Day Care Pre-School facility repurposed as SP Administration Building (2015); Church of the Immaculate Conception bell tower refurbished and associated church projects completed (2016). Other noteworthy events: Providence Cristo Rey High School opens in Indianapolis (2007); Apostolic Visitation visitors at SMW (2010); process concluded by Vatican (2015); significantly increased programming at Providence Spirituality and Conference Center and White Violet Center for Eco-Justice (2011 ff. ); sponsored institutions/ministry assessment process; subsequent decisions (2012ff. ); introduced livestream broadcasts of communication nights and wake services (2013); invited Providence Associates to attend some sessions of the SP Annual meetings and of the General Chapter (2014); Providence Health Care attains Medicare certification (2013) and admits lay persons for short-term re-habilitation and therapy, and later for long-term care. (2015); National Religious Retirement Office consultants engaged for long range planning to assess property, buildings and operations; resulted in decommissioning of Owens Hall and major decisions toward sustainability in operations (2015); established Justice Coordinating Commission (2016); Mission Integration program established for staffs of sponsored institutions and ministries (2016); approval of co-ed at SMWC to begin in 2015-2016 and the Land Ethic adopted and implemented throughout organization (2015). She has been a wonderful mentor, modeling so well a welcoming presence, graciousness and sensitivity to others. Sister Dawn Tomaszewski is a native of Chicago. She previously ministered as a member of the Congregation’s leadership team. She is a graduate of Saint Mary-of-the-Woods College with a bachelor’s degree in communications. She received a master’s degree in journalism from the University of North Carolina and a master’s degree in theology from Catholic Theological Union in Chicago. Sister Dawn entered the Congregation on Aug. 29, 1975, from St. John Brebeuf Parish in Niles, Illinois. She professed perpetual vows on Aug. 19, 1984. Sister Dawn ministered as a teacher at Marywood School in Orange, California (1977-1980). She also taught at Mother Theodore Guerin High School, now known as Guerin College Preparatory High School (1980-1982). She later served as director of communications and an instructor at Saint Mary-of-the-Woods College (1984-1987); the Congregation’s director of communications (1987-1990), then director of communication and development (1990-1991) and director of the Mission Advancement office (1991-1996) at Saint Mary-of-the-Woods. She also ministered as communications and media coordinator for the Office of Catholic Education, Archdiocese of Chicago (1999-2004); communications and public relations director, Guerin College Preparatory School (2004-2005); and director of advancement, Guerin College Preparatory School (2005-2009). Sister Dawn ministers as an ex-officio member of the Saint Mary-of-the-Woods College Board of Trustees. Click here to read more about Mother Marie Gratia Luking (Kaifeng, China, 1920-1964) the foundress of the Providence Sister-Catechists, now known as the Missionary Sisters of Providence.